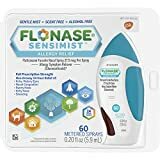 Fluticasone is a synthetic corticosteroid administered as an oral metered-dose inhaler for the long-term treatment of both human, and animal, chronic asthma or bronchitis. 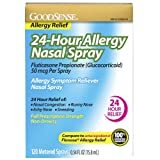 When Fluticasone is inhaled it is absorbed into cells in the lungs and stops cells from producing various inflammation-causing chemicals like prostaglandins. By decreasing the release of these chemicals in the lungs and airways, Fluticasone reduces inflammation. By reducing the inflammation and hence the production of mucus in the airways, Fluticasone makes breathing easier and helps prevent asthma attacks. It is not used to treat an asthma attack.